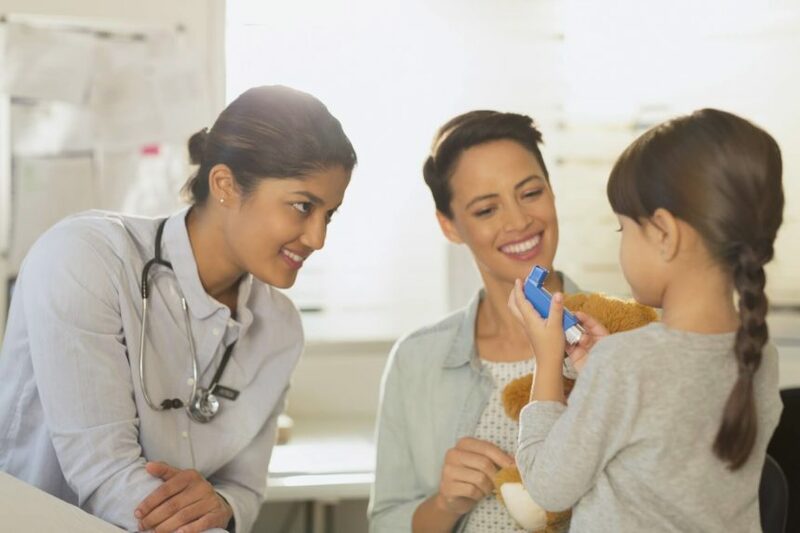 At the Connecticut Children’s Medical Center, Dr Simoneau and colleagues work with patients to improve adherence using the Hailie sensor. Every single day, pediatricians like myself encounter tragedy in the form of a disease or affliction without a ready treatment or cure — be it cancer, degenerative disease, or an especially aggressive virus. And yet every single day we strive to treat what may not be treatable, to cure what may not be curable, and to discover, when it comes to these illnesses, what we do not know. The answer is yes, of course it is a big deal, but for different reasons than for the diseases we still know so little about. For kids with asthma, it is true, we do know what works, yet despite advances in therapies and our understanding of the disease asthma remains a leading cause of hospitalizations in young children in the United States, as well as a leading cause of missed school days. The tragedy, then, is not that we do not know how to treat the disease, but rather that we do and yet the disease prevails. It prevails because while physicians understand asthma, we do not wholly understand human behavior. The problem with asthma is adherence. That is, how do we get kids to take their medicine? The problem extends beyond asthma; at least half of patients have the same issue in any medical context. And adherence is not only a matter of physical health, but economic health, too. Nonadherence accounts for about a third of the total waste in the healthcare system and billions of dollars in cost burden.1 The adherence problem alone is estimated to cost 3 times as much as the United States spends on cancer treatment in a year, before even including lost productivity. What is more, nonadherence puts treating physicians and medical researchers in a sticky situation, as they struggle to discern whether it is the underlying illness causing a patient’s condition or simply a failure to follow a prescribed treatment plan. The solution lies in new technologies, as do all solutions nowadays, but algorithms and better self-service interfaces alone will not do the trick. Disease management and the behavioral underpinnings of adherence are inherently human endeavors, requiring a human touch. Technology, then, should not seek to cut doctors out of the loop, but should instead close the gap between doctors and patients.